Get Sam’s secret cookie recipe below! Have a sweet tooth? Host a bake sale! 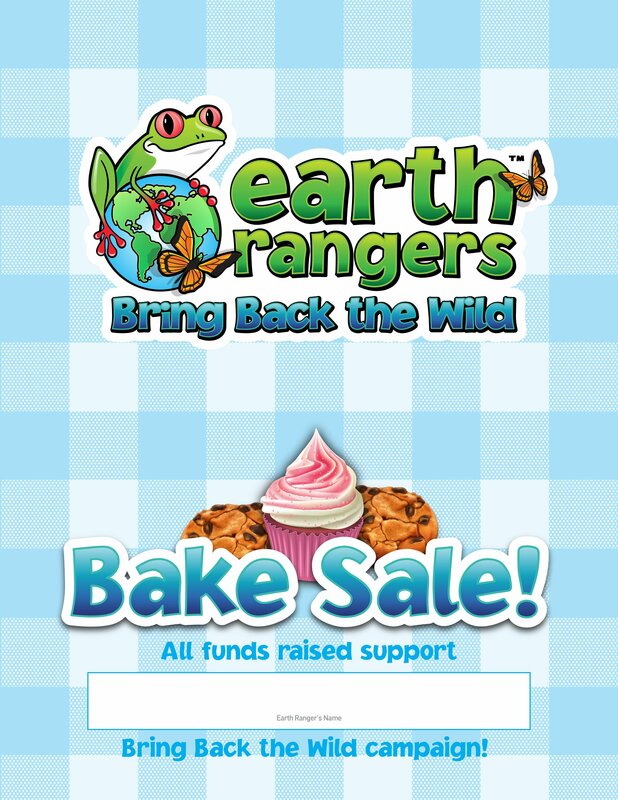 Share your love of baked goods with family and friends by hosting a Bring Back the Wild Bake Sale! By holding your bake sale in a space like your driveway, front lawn or even at a school fair, you can attract lots of people who are willing to support your cause! If you love baking, you’re going to love this recipe. This super easy sugar cookie recipe is great for rolling out and making all sorts of fun cookie shapes. Step 1: Pour the sugar and softened butter into a large mixing bowl and cream (mix) them until you have a smooth, fluffy, yellow mix. Step 2: Next, add the eggs and vanilla, and beat until smooth. Step 3: Add the flour, baking powder and salt, and stir until smooth. Step 4: Cover and chill your dough for at least 1 hour. Step 5 (optional): Make the piping plover cut-out by tracing and cutting out this template on parchment or wax paper. Step 6: When your dough has chilled for long enough, preheat the oven to 400 °F (200 °C). Step 7: Sprinkle flour on a large cutting board and roll out your dough until it’s ¼ to ½ inch thick. Make shapes in the dough using cookies cutters or tracing your piping plover cut-out. Place your cookies 1 inch apart on an ungreased cookie sheet. Step 8: Once the oven is ready, bake the cookies for 6 to 8 minutes. Step 9: When the cookies are done, take them out of the oven and let them cool completely before icing them. I’m gonna do this! I’m gonna ask people in my apartment to buy my cookies for 75 cents!! This would be fun to do with my sisters!